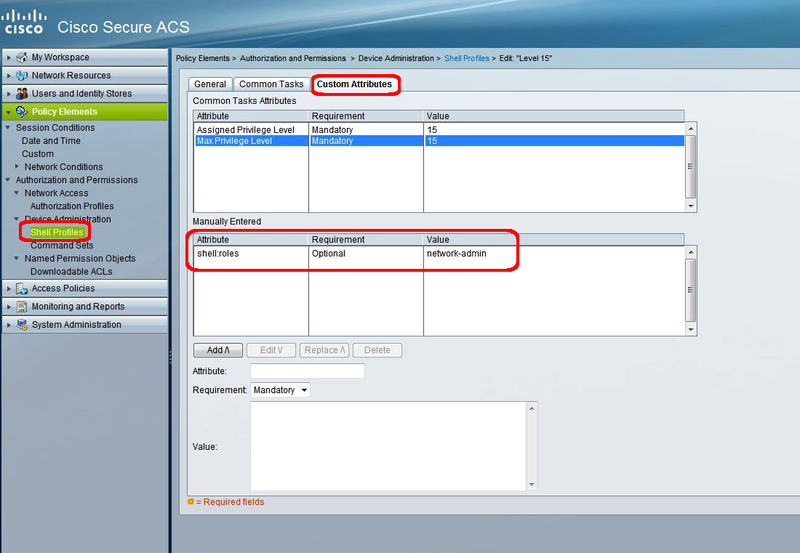 On Cisco ACS 5.x you need to add an option to the shell profile you use for TACACS. In my case I just added the attribute to the standard profile which gives ‘level 15’ privilege to passed authentications for other IOS devices. This entry was posted in ACS, cisco and tagged ACS, csico, mds, storage, tacacs on August 4, 2012 by Cameron Stockwell.